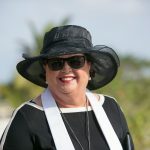 Even before I went to pick up this couple from Texas who were getting married in Cayman today, I was making plans in my head for what we would do if it was raining. There is a tropical wave in our area, and the last few days have been quite rainy. 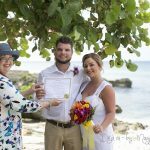 Fortunately for us, the rain hasn't come until mid-day and we managed to get all our weddings done, since we try to do them as early as possible after the Cayman marriage bureau opens and we can get the couple's Special Marriage License. This couple were marrying each other for the second time. 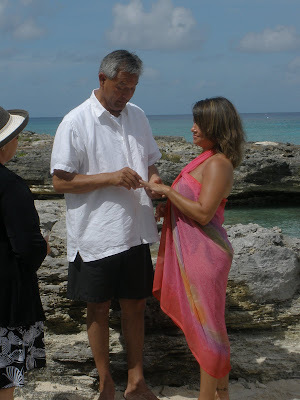 The Groom is a full-blooded Seneca Indian and to honour his heritage the Bride picked the Cherokee Prayer as a blessing. 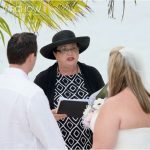 Remember you can personalise your Cayman wedding ceremony with a poem, song or reading of your choice, or ask us to see our extensive list of wedding readings from many different sources, and cultures. 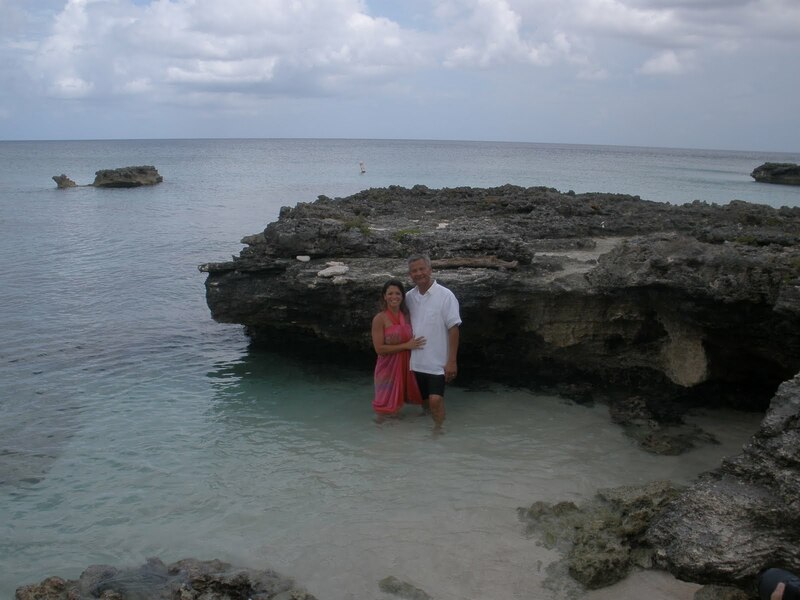 After the wedding, the happy pair are ready to relax and enjoy Grand Cayman, especially the beautiful beaches with their sparkling pink sand, and the clear azure water. A quiet moment captured before they go off to enjoy picturesque George Town, the capital of the Cayman Islands. 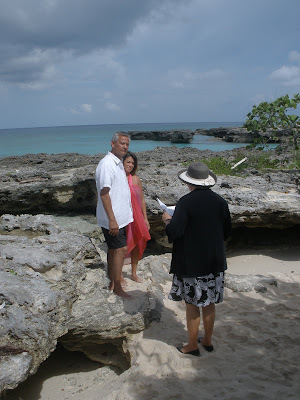 This couple were traveling alone, so we provided both transport and witnesses for their no-frills wedding. 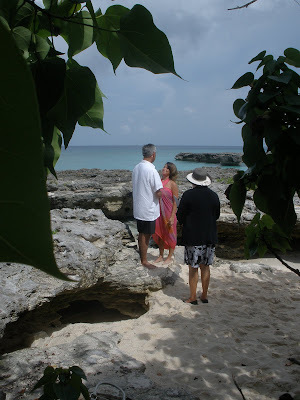 Ask about additional services you may want added to your Cayman wedding package. 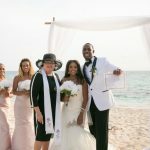 Call Joy or Peggy (+1 345 949-9933) to book your own simple Cayman Wedding, and visit us on Facebook at Grand Cayman Beach Weddings and Simply Weddings- Grand Cayman Wedding Celebrants and Planners more more pictures from the weddings we celebrate every week. Cayman cruise weddings and vow renewals are our speciality.